That is the question, before the Virginia General Assembly as among the many bills being considered on education is one that will impact whether or not home-schooled student-athletes in the state are allowed to compete/participate in public school sports programs. Let's get rid of the bad teachers. It can't hurt can it? Honestly, who can argue with a plan to recognize excellence and eliminate roadblocks for getting rid of incompetence. After all, if you're a good teacher, you've got nothing to worry about. Right? 1- any teacher during their probationary period may be dismissed without notice or reason; this includes any teacher, regardless of experience, in their first year in a new district. How it's different from today- currently, probationary teachers have the right to "notice" and "hearing" if dismissed during the current school year. It is already possible to "non-renew" a probationary teacher. 2- all teachers will work on an "annual contract" and "continuing contracts" will be eliminated. How it's different from today- essentially, new teachers have "annual contracts." This means that dismissal during the year requires documentation and good reason for dismissal. "Continuing contract" teachers may be dismissed, but even a non-renewal requires "notice" and "hearing" and cannot occur without a justified reason. On the annual contract, as long as a teacher is notified by June 15, they can be refused a contract for the following year. 3- evaluations must follow the Guidelines for Uniform Performance Standards and Evaluation. These standards are new as of 2011 and call for teacher evaluations to be tied to student growth. Measurements for student growth are not clearly defined and differences in testing, or lack of testing in some areas make this provision very different from teacher to teacher. All teachers must be evaluated yearly, new teachers twice a year. How it is different from today- local school boards must create a system to address student academic progress and the instructional skills and knowledge of teachers. Furthermore, local boards decide the frequency and type of evaluation for experienced teachers. This is just a brief summary. I encourage you to read the entire bill, or at least a better summary found here. I consider myself a pretty good teacher. Not the best, probably in the top half. Should I worry? I remember my first year. An administrator (not my direct supervisor) had heard from students that students were out of control in my class. The administrator couldn't offer any specifics, but required me to complete a discipline plan and come back for follow up in three weeks. I never heard another thing about it, and the follow up didn't happen. I wonder if that happened after this law passed whether this nebulous assumption that my classroom lacked discipline could have led to dismissal. In my fourth year, a new chair was appointed to our department. In our initial meeting, he said, "I'm sure that you're aware of the concern about your teaching, so we'll continue to work on that." He was shocked that I was shocked at this statement. I hadn't heard a thing. Luckily, he was willing to observe my class and try to discover the problem. A former department chair really had it in for me. Apparently the administration was aware of these supposed problems, but rather than investigate, they assumed it was true. I was able to request several evaluations to show that I was doing my job, but if that happened today, perhaps it would be easier to wait until June 15 to let me know I don't have a job in September. Most of this proposed legislation simply ups the stakes of the system without providing the additional training or input to make it work appropriately. To borrow from the gun lobby, we don't need new laws, we need better enforcement of the laws we have. Bad teachers can be dismissed under current law. It is just a matter of providing the support to schools and administrators to effectively use current systems of evaluation and applying them appropriately. This proposed legislation will not result in removing bad teachers and recognizing good ones. Even if it did, will better teachers magically appear to replace them. I spoke directly with my principal and the division assistant Superintendent about this proposal. Both of them said that as administrators, they wouldn't likely use the law so much to get rid of teachers as much as they would use it to encourage existing teachers to step up their performance. In the end, as a teacher, it is a demoralizing message. It says I don't have the motivation to do my job well, so with a little incentive and threat of punishment maybe things will get better. In reality, with proper training and oversight, the current system would function better-- without proper training and oversight, the proposed system will be worse. It just isn't good policy. If you agree, let someone know. The current General Assembly of Virginia is considering a law to eliminate third and fifth grade Standards testing in Science and Social Studies. (Senate Bill 185) The bill comes from a Joint Legislative Audit and Review Committee report on "Promoting Third Grade Reading Performance in Virginia." This legislation could be a positive move toward acknowledging the pitfalls of so much standardized testing of students, but unfortunately the tone of the legislation points to other motives. The rationale stated for this change is that eliminating the focus on Science and Social Studies testing, teachers and schools can focus more on the basic skills of reading and math. Sen. John Miller (D) is quoted as saying "I think it's more important that the students be able to learn to read history textbooks than just to test them." True, that without a foundation in reading and math, students will later struggle with History and Science. But, current legislation creates such "high stakes" for testing that elimination of Social Studies and Science testing will certainly lead teachers and schools to de-emphasize these subjects. Research shows that students who fail the third grade test are fifty percent more likely to fail in fifth grade. Officials doubt that Virginia will reach the goal of a 95% pass rate under the current framework. So what are the pass rates? Currently, rates are between 80% and 86% (83% in 2010). This means that 15%-20% of Virginia students are not reading at an acceptable level (as measured by standardized tests for which schools and teachers, not individual students are held accountable). What about the 85% who do learn how to read in 3rd grade and will continue to improve into 5th grade? In a one-size-fits-all (maybe even one-test-fits-all) system, those students are likely to suffer through redundant and unnecessary additional practice in order to make sure reading and math scores are acceptable, instead of widening their learning into other subjects. Here's a solution. Test the third graders in math and reading. Then, instead of punishing their teachers or schools, provide the resources needed to help these students achieve while also providing them and their peers a well-rounded education. I am glad that third and fifth graders may have two less tests to take in the coming years, but I fear that my children will attend elementary schools that have become well-oiled math and language arts factories geared to produce the best test scores before sending their students on to the next testing machine. 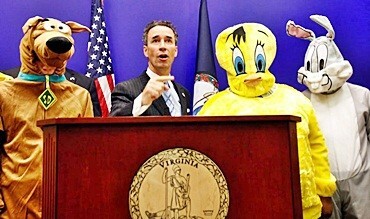 Here's the sound bite: "Tweety Bird and Scooby Doo shouldn't be making the educational decisions in Virginia." I don't know, maybe we should give it a try, but for those who don't know-- for many years, Virginia law has prohibits schools from opening before Labor Day without a special waiver. The law is affectionately called "The King's Dominion Law" referring to the pressure from Virginia tourism for government support by keeping a supply of tourists and employees available in the summer months. This year, Gov. McDonnell wanted it repealed. The bill was killed in the Senate. It still has a chance in the House, but it would have to then go back to the Senate. One thing I appreciate about this law is its honesty. No one argues or puts up the front that it is good for students. The tourism industry clearly states that it's about them, and money. No legislators voting to pass on the repeal try to justify what's good for the kids, this is "sunshine government" at its best. On the other side, over half of Virginia school districts already start before Labor day despite the law. Repealing the law would free districts of the burden of applying for waivers and also allow more flexibility in the school calendar, perhaps opening the door to year-round alternatives. Either way, it looks like Scooby wins the day. Hey Florida, how much clout does Mickey have? While the rest of the world is watching a Republican rebuttal to President Obama's 2012 State of the Union Address, the Teaching Underground believes that a teacher response is appropriate. So as has become our annual custom, (since last year) here's our take on the President's remarks. The President started off on the "good foot" with his choice of honored guests to join the first Lady in attendance tonight. Sara Ferguson from the infamous Chester School district in Pennsylvania will join Michelle Obama for tonight's oration. Ms. Ferguson teaches in a school district where teachers and their union decided to teach without pay. Yes, the evil union decided that serving children was more important than their own sustenance, by continuing to do their jobs even though state and local government did not have the funds to pay them. As with most teachers, we certainly will stand for fairness and appropriate working conditions, but the message to the public-- don't confuse our zeal for what's best for the students with self-interest and greed. On to the speech. The President's remarks are in italics, my comments follow each section. At a time when other countries are doubling down on education, tight budgets have forced States to lay off thousands of teachers. We know a good teacher can increase the lifetime income of a classroom by over $250,000. A great teacher can offer an escape from poverty to the child who dreams beyond his circumstance. Every person in this chamber can point to a teacher who changed the trajectory of their lives. Most teachers work tirelessly, with modest pay, sometimes digging into their own pocket for school supplies – just to make a difference. 1) Mr. Obama, most of us who follow the education news know of this $250,000 of which you speak, but haven't we done enough to discredit this study? This "fact" would do much greater good if its purpose was to increase the respect and professionalism of teachers, but instead, this study has prompted an attack on the teaching profession. Instead of promoting the importance of teachers, this study is being used to push for "getting rid of the bad ones." 2) A teacher can indeed offer an escape from poverty, but a good teacher will never be a guarantee of this escape. How many people can point to a coach, pastor, relative, or other concerned adult in their life who made the difference in motivating them toward greater things? We need to remember how influential we teachers can be, but our public needs to be aware that education alone is not the solution to poverty. 3) Most teachers do work tirelessly and today, instead of just a pat on the back, we would like "a place at the table." Our goals are not self-promotion, greed, or an easier job. We deal with children daily and believe that our expertise can lead American education policy in a positive direction. So now we get to the real meat of the issue. What kind of deal do we offer schools? Give them resources to keep good teachers on the job... and replace the one's who aren't helping kids learn. How do we find these teachers, that's right, testing. Isn't that the metric used by the researchers to determine the "good" teachers that increase classroom lifetime income by $250,000? Rewards and threats of punishment, that's so 20th century Mr. Obama. How about we give teachers the flexibility to teach with creativity and passion, to stop teaching to the test, BECAUSE "most teachers work tirelessly--just to make a difference." Trying to make a difference is the opposite of "defending the status quo." That’s why my education reform offers more competition, and more control for schools and States. Just a few words, but that's what President Obama says to the nation about American k-12 education in 2012. He received a warm response from the crowd for these remarks. On the whole, they appear rather benign, but in today's political climate, government education policy seems to be driven by one major idea-- identify good teachers and reward them, remove obstacles for getting rid of bad teachers. Identify those teachers by test scores that provide absolute measures of success regardless of outside factors. If you think there's more to it than that, I'd love to hear your thoughts, these are just some intial thoughts on the President's comments. 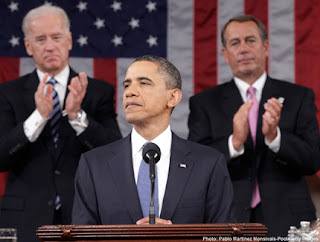 Thanks for reading, that's the 2012 Teaching Underground teacher's response to the annual State of the Union Address. "They" don't listen because they don't understand. Do educational leaders know what's happening? "Ground control to Major Education Leader"
In recent months many of "them" (influential figures affecting education) have become very vocal about the problems with NCLB as the looming 100% pass rate timeline approaches. Compelled to do so out of fear that their school or division will be labeled as failing. They've snapped up Race to the Top(RTTP) funds as an alternative but have honestly done little to affect the overall direction reform is headed. Shame on them! Shame on them for not doing something sooner. Shame on them for also being very vocal about bad teachers. They seem either to not have a handle on what is occurring within schools or just don't care to listen. 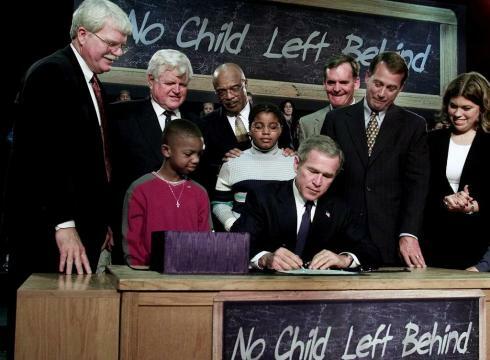 Early on in my state there were countless warnings about NCLB that went unheeded. Many of those calls coming directly from the classroom. Shame on them for not listening until "they" were affected. Sure teachers are sometimes the reason a class or school is not as good as it should be. Listening to many reformers out there it might seem bad teachers are the only reason. RTTP funds are being used to sell out teachers and educators even more. This "revision" might be less punitive than NCLB but it is no less harmful. The call to strengthen and improve performance grows louder day after day. The pressure to perform is crushing. That is not a good thing for a learning environment. Positive pressure is good. An element of competition is good. A benchmark for comparison is good. What we are tolerating is bad. A single indicator for success is not a sound approach. How would parents and students respond if a teacher used the same approach to assign a grade? Any criticism would be warranted. It is worth remembering as leaders use accountability to justify action that schools and teachers are expected to educate every child regardless of achievement level, motivation, or behavior. As we press for accountability the teacher and school are saddled increasingly with responsibility to make kids learn. Lost in the shuffle of responsibility is the role students and parents must play in this partnership. Sadly many students do not not get much if any support outside of school and do not appreciate the value of their education. Some schools can't or don't do much to mitigate this reality. The effects of such an environment are crippling. Kids can grow into entirely dependent learners and too many lose desire or interest to advance themselves academically. They just don't like school. Gone is a love for learning that is present in young wide eyed children. They'd rather be elsewhere. But they may pass the test. So tests don't help. In fact these tests likely do more harm than anyone admits. To ignore this and place all that burden disproportionately on the education system will never remedy the issue. Geoffrey Canada has it right in this sense and what I admire most is he actually did something about it rather than just blame people. Blaming schools, kids, parents or anyone is akin to treating the symptoms and not the illness. "The Lottery" is not a great date movie. I recently watched the film "The Lottery" which chronicles the plight of inner city kids in NYC as they seek to gain admission into one of the Harlem Success schools. It was excruciating to watch. Not because I dislike charters. Because I felt for the kids. I disliked though how charters were portrayed and how they affect those not in or working in them. Joel Klein, Michelle Rhee, Arne Duncan and other non teaching reformers portray charters, vouchers and school choice as THE answer. Those in the know more accurately think of them as only one of many potential medicines. They are just schools afterall. Schools freed from some of the buckling rules regular schools are forced to weather. Different in many ways but also treated differently. Do they work? Some yes, some no...and that is about as scientific a response as you can find when you Google effectiveness of charter schools. Until you sit, immersed in a crowded room of young people unable to get them where they need to be, you'll never really get it. Teachers do not hold exclusive private membership to good ideas on education but most do have good common sense stemming from time in the trenches. Lack of complete success is part of the job and forces constant professional improvement. Any given lesson on any given day can be frustrating, inspiring, frightening, demoralizing among other things. We know this because we work with people. What we don't need is a bunch of higher ups pounding on us and making things worse. Their efforts to design systems that will attract and retain the best teachers most of the time make me want to pack my bags. The higher up you are the less you see people and the more you see data. The more you see systems and not people. The more you think in terms of numbers and not kids. I'd like to believe educational leaders are well intentioned but the more I read and hear I arrive at the reality they just don't care what teachers think. Such a frame of mind has led us to where we are. We are led to believe schools are beyond repair and we should shudder them and start over. The people most able to functionally affect positive change feel demoralized, ignored and are leaving the teaching profession at an alarming rate. The time has come to guide reform from the bottom up and not top down. Anything else will mean a continuation of policy bereft of what is most essential to success, buy in from teachers. What other landscape would generate the following comment? Pistols at dawn Mr. Bloomberg? (We haven't forgotten your Cathie Black appointment) Maybe if we both had figurative pistols(meaning teachers had any real power) you and all the other "reformers" might listen. I don't usually reference the UFT but when the Michael Mulgrew says "clearly the mayor has never taught," truer words were never spoken. So I will count Bloomberg and many others among the "them" I referenced. "They" are highly skilled at both patting us on the back with one hand and with the other saying and doing things that slap us in the face. Until people at the top listen to educators opinions, insights and experience little will change for the better. If you know any of "them" recommend they read the TU. Or any other frustrated educator's blog. There are plenty out there. The U.S. spends more per child and more per capita on education than any other country. Yet we rank any where from 14th to 25th out of 75 countries in math, reading and science according to the International Student Assesment report. So, apparently throwing more money at the issue is not the answer. The money NEVER makes it to the children and the teachers who deserve it, just the beauracrats in the front office and the teachers unions. I know this isn't NYC, D.C., or Chicago. And the "Charlottesville Newsplex" is just a small media outfit serving a small city that could hardly claim to have a suburb. These facts make the story even more important. Across the nation, the public opinion is swayed by the loudest and most prominent voices that are selling the public this idea that public education is failing because of bad teachers and unions. I don't know where the statistics quoted come from, but the "teachers unions" comment stands out the most in this geographic area. 1) Virginia is a right to work state- there is no "teachers union." 2) The supposed "teacher union" here is funded by teacher contributions, not county budget. 3) I can't speak with certainty, but it would surprise me if even half of the teachers in our county (and Virginia) even belong to the "teacher union." Yet somehow, in little Albemarle County, an run of the mill media consumer believes that our budget shortfall is somehow tied to the problem of "teachers unions." I don't know how familiar some of our readers are with Virginia, but growing up in southwest Virginia furniture and textile country in the 1970's and 80's, Union was a dirty word-- to employees and factory owners alike. Unions exert little to no influence on Virginia politics, business, and society. If that's true in the private sector, imagine what it means for the public. I'm not taking a pro or anti union stance here, that's just how it is in Virginia. I'm disturbed by how easily this comment reflects a public perception, colored by national media coverage, that unions are a part of the problem even when they are COMPLETELY UNRELATED to the problem at hand. It doesn't matter which side of the reform debate is winning online. In real life, the debate is nearly over, and America is buying the lie. Time Magazine, January 23, 2011. Andrew J. Rotherham gives us George W. Bush in his own words on the tenth anniversary of "No Child Left Behind." Bush: "So I'm pleased with the progress and concerned about efforts from people in both parties to weaken it." Rotherham: "What do you think is driving those efforts?" Bush: "Some on the right think there is no role for the federal government in education. Some on the left are saying it's unfair to teachers--basically, union issues. People don't like to be held to account." Both parts of Bush's response define a clear divide among first, left and right politics regarding education and second, the yet-to-be-labeled opposing sides in the education reform debate. First, if we could make policy with all of our biases on the table, perhaps everyone would understand each others goals a little better. But, I have a hard time accepting policy decisions made by those who have limiting the government role in public education as their primary goal. What better way to pull the government out of education than to convince the American public that money spent on public education is money wasted? If successful in this effort, any number of agendas are guaranteed (vouchers, school choice, private/public charters). I gravitate away from conspiracy theory, but when those who wish to undo the system play a vital role in making policy for the system, bad things are likely to happen. Second, I do like to be held accountable. It makes me a better person. I learned long ago that one of the best ways to avoid bad practice is through openness. Letting others in on what's happening in the classroom. Parents, administrators, peers, all serve to hold me accountable for what I do. I don't like thinking that I've been doing something ineffective, but I do appreciate knowing that I've done it versus continuing to fail without ever realizing it. This statement indicates that Bush begins with the understanding that I want to teach in the shadows, without any oversight or input into my work. If you believe that I'm this type of person, then you probably don't respect me enough to listen to my professional opinion. I don't think Bush or any of the corporate reformers want to be held accountable. It's like when your zipper is down, or you've got food on your face. I like a person with the courage to let me know so that I can avoid further embarrassment. I suppose some people prefer to go through the evening not knowing any better. Instead of listening to feedback (they'd prefer to call it complaining), corporate reformers prefer to demonize the source of the feedback-- teachers, who stand behind protection of their unions in order to protect themselves from having to do honest work for honest pay. How have we devolved to this national narrative that teachers who care enough about children to spend hours of time with them for average pay are the one's who are holding our children back while profit driven reformers and corporate educational companies pushing for more testing and accountability are the great hope for our public school system? I might roll a brand new car. 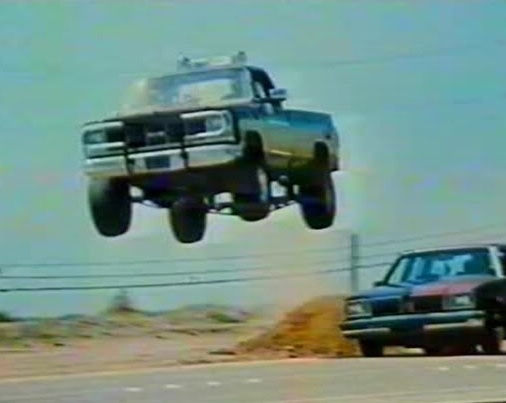 'Cause I'm the unknown stuntman that made Redford such a star. 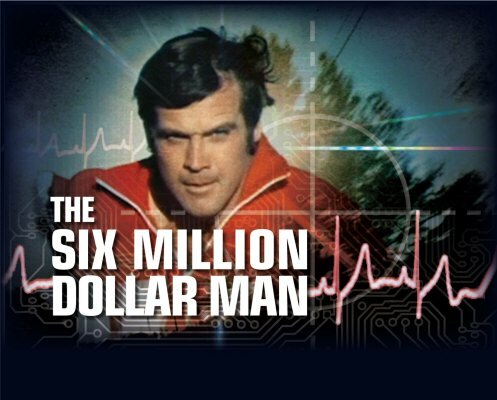 Steve Austin probably ended up a CEO. 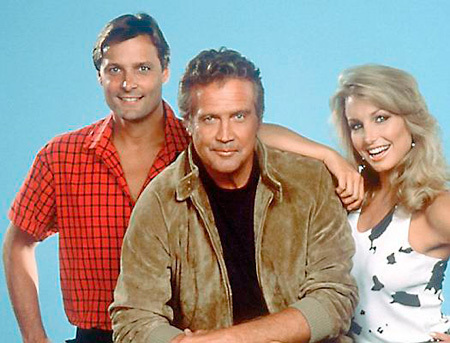 That's how Lee Majors opened his show "The Fall Guy" in the early 1980s. 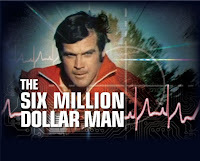 His role as the "unknown stuntman" was not as well known as when he played The Six Million Dollar Man, but the TU agreed at lunch the other day The Fall Guy was among his finest works. 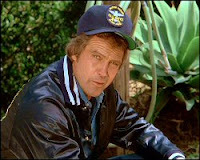 Majors played Colt Seavers on the show and the theme song has earned him a place as an honorary TU member. Why you ask? Because he seems to share the unappreciated feeling all too common among today's teachers. You may have read Teacher Underground: A Metaphor for Education where we used H.R. PufnStuf to explain the players in the spectacle that is education. Thinking a bit about The Fall Guy might also lend some clarity and insights to the current state of our profession. Colt Seavers, Can it get more American? We all have a little Colt in us where we feel like we do all the work and and no one sees or appreciates those efforts. Teachers seem to be an easy mark for reformers and politicians intent on the appearance of movement. Teachers have become the fall guy for all the problems we face. They seem intent on laying any blame for the shortfalls of education and students on the teachers. If you spend time following national, state and even local policy you know that bashing teachers and their level of professionalism seems to be all the rage. Removing bad teachers is a key element to many strategic plans to improve education. There doesn't seem to be much thought as to how that determination is made or what else affects outcomes. Bottom line is that type of negative rhetoric is unwelcome to most educators and does little to help motivate or inspire. A leader that can change that would go a long way. Some people and groups have always devalued the importance of teachers. But those who do so today are all too common. They criticize the teaching workforce by pointing out where we graduated, the rigor of the training prior to employment and also teachers themselves for gaining employment in a field deemed not that competitive. By far the biggest target is tenure. They say annual contracts are all that teachers deserve. Need to tighten the budget, fire some teachers. Basically those that want to help have decided saying teachers aren't good enough is the way to make things get better. If that is their goal I don't think they are doing a very good job of making our field very attractive to the higher caliber individuals they seek to recruit. Come work for low pay, little job security where efforts seem unrecognized. Apply within. Meanwhile the teachers of America do what they do. Like the character Seavers, we grind away at our jobs and stand by while others talk about it under the spotlight. That doesn't bother us, we signed up for that. We are fine with that and even take pride in it. But having someone then stand up and say we are doing a crappy job hurts. Much like the bumps and bruises common in stuntman work. Colt no doubt had to swallow his pride and watch some major stars take all the credit, knowing that stuntmen were an afterthought and seen as expendable. We know how Colt must feel when we hear a leader stand and spend more time trumpeting a program like TFA, where members are trained in weeks, often temporary, and enrolled for different reasons and less time on lifelong teachers. Another parallel with The Fall Guy, he found himself in financial hard times(remember the early 1980s recession?) and had to supplement his income by becoming a bounty hunter. 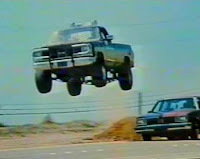 He turned to riding around and jumping his GMC Sierra Grande over stuff to apprehend bail jumpers with his cousin(Douglas Barr) and fellow stunt person Jodi(Heather Thomas). He found a way to make ends meet. His job was perhaps more exciting but teaching is no less unpredictable. Financial challenges are often not unfamiliar to teachers and many are forced to seek additional employment to make ends meet. We didn't take the job for the money but it is a job and we expect to get paid. Whether film-making or education, any system where people who work the hardest seem to get paid the least is pretty backward. Oh well Colt never whined about it. Major's sang "I've died for a living in the movies and TV" and I think he's saying he has a passion for what he does. The good teachers I know share that trait in working with their students. We learned we need to have thick skin to endure. For the stuntman this is true in a literal sense and for the teacher it means you have to be willing to give of yourself when at times no one, not even your students, seem to appreciate your efforts. There will be some nights when you question whether you're going to make it. But like Seavers, you'll show up the next day and give your all. We love what we do. When the credits roll at the end of a film or when the names are read at graduation, we take some pride in a job well done. We are used to feeling unappreciated but let's not take that too far...OK? Lee, next time you or some unappreciated teachers are in town, swing by and join us for lunch. 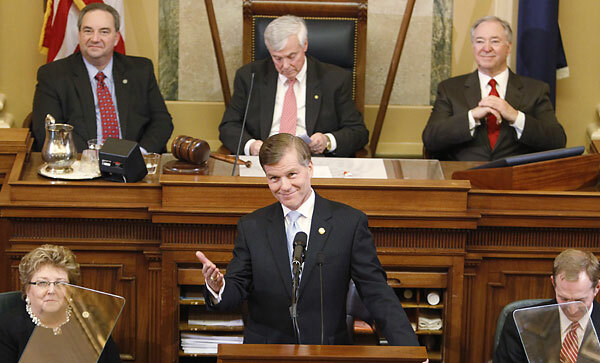 Virginia Governor, Bob McDonnell, delivered his "State of the Commonwealth Address" this evening, part of which includes highlights of his education plans for the next two year cycle. Below are highlights from his speech with the Teaching Underground comments in italics. States are competing against each other, and the world, for job-creating businesses. When deciding where to move or expand, businesses look for a well-educated and well-trained workforce. We owe every student the opportunity to be career-ready or college-ready when they graduate from high school. A good education means a good job. This is how McDonnell begins his comments on education. It is unfortunate that economics is quickly becoming the only measure of value in American society. I have proposed an increase in funding for K-12 education of $438 million over this biennium to strengthen the Virginia Retirement System for teachers and school employees, increase dollars going to the classroom, hire more teachers in science, technology and math, improve financial literacy, and strengthen Virginia’s diploma requirements. I appreciate the contribution to VRS, but it doesn't cover increases enough to keep from impacting local budgets. I know this is an area where public employees are often compared to the private sector. I won't complain about the benefits, but I know from friends in the private sector that I'm not getting any significant retirement benefits over them. I haven't seen any indication that the new budget really adds dollars directly to the classroom. STEM is certainly important, but I think it is quite over-stated as of late. We should stay competitive, but not so much that we sacrifice and devalue HEAR (History, English, Arts, and Recess). O.K.- lame attempt at humor. As for financial literacy, perhaps there should be a remedial effort aimed toward adults who make public policy considering they demonstrate such a deficiency in this area. We will also provide new funding for the successful Communities in Schools program, as well as funding for all 10th graders to take the PSAT, and for the start up of new health science academies. Thank goodness we're making another standardized test possible for students. It's about time. However, while we will put more funding into K-12 in this budget, more funding alone does not guarantee greater results. Of course not, we need to stick it to the bad teachers. Over the past decade, total funding for public education increased 41 percent, while enrollment only went up 6 percent. This budget will provide new funding, but we will also seek more accountability, choice, rigor and innovation. Is the increase any wonder? How much more do we spend on testing, data collection, and reporting? Federal and State mandates and partially funded programs and policies just like what you're proposing tonight have bloated local expenses. Providing flexibility to local school divisions is important. It is time to repeal the state mandate that school divisions begin their school term after Labor Day unless they receive a waiver. Already, 77 of the 132 school divisions have these waivers, so that the exceptions have become the rule. Local communities can best balance their teaching and calendar needs with the important concerns of local tourism and business. They know their situations far better than Richmond. And our next big initiative can be longer school years since that obstacle is out of the way. Our teachers are well educated and motivated professionals who deserve to be treated as such. Just like workers in most other jobs get reviewed every year, and are therefore able to be more accurately promoted and rewarded for their success, so too should our teachers. When is your annual review Gov. McDonnell? Oh, that's right, it's a four year term. I am asking that we remove the continuing contract status from teachers and principals and provide an annual contract in its place. This will allow us to implement an improved evaluation system that really works and give principals a new tool to utilize in managing their schools. Along with the merit pay pilot program we approved last year, we will provide more incentives and accountability to attract and retain the best and brightest teachers. Can you REALLY ignore the mountains of research that show incentives and merit pay don't improve student learning? Data-driven, huh? Dan Pink save us please. We’ve got so many great teachers in Virginia, teachers like Stacy Hoeflich, a fourth grade teacher at John Adams Elementary School in Alexandria, who was recently named the National History Teacher of the Year. I happen to think my sister Nancy, a public school teacher in Amherst County, is a great teacher. Your House Majority Leader, Kirk Cox, is a great teacher. We all know strong teachers who deserve to be better recognized for the invaluable roles they play in the development and learning of our students. Yes, and we all know racists who say "I've got lots of (fill in the group) friends." Picking a handful of teachers to praise doesn't excuse the disrespect toward all teachers communicated by your proposal. We will also fund policies to ensure all young people can read proficiently by third grade, so they are ready to become lifelong learners. Social promotions are not acceptable. When we pass a student who cannot read well and is not ready for the next grade, we have failed them. But we won't invest more in pre-school and real early intervention. I guess they have to be officially tested before we can justify intervention. Our public education system must also embrace multiple learning venues and opportunities. I agree with President Obama that we need to expand charter schools in our nation. I am proposing that we make our laws stronger by requiring a portion of the state and local share of SOQ student funding to follow the child to an approved charter school, and to make it easier for new charters to be approved and acquire property. A Republican governor evoking the name of Barak Obama-- bad education policy knows no party. But why can't we give greater flexibility to traditional public schools and let them innovate and provide choice. In our county, we already do this with a Math, Engineering, and Science Academy and will add a Health Sciences Academy next year. Charters have no proven track record of out performing public schools. We need a fair funding formula for the fast growing virtual school sector. I will propose that a portion of the state and local share of SOQ student funding should follow the student in this area as well, and that we implement new regulations for accrediting virtual schools and teachers. i.e., reduce barriers and make it easier. While clamping down on teacher tenure and accountability for traditional public schools, you're going to make it easier to operate virtual schools. I bet K12 loves this. We should also create effective choices for low-income students, so I’m asking you to provide a tax credit for companies that contribute to an educational scholarship fund to help more of our young people, and I thank Delegates Jimmie Massie and Algie Howell, and Senators Walter Stosch and Mark Obenshain for their leadership on this issue. A child’s educational opportunities should be determined by her intellect and work ethic, not by her neighborhood or zip code. CREATE A TAX CREDIT FOR COMPANIES!!! Forget the public responsibility to provide equal opportunity regardless of economic status, let's add incentives and trust the goodwill of the private sector. We will also propose innovations to promote greater dual enrollment in high school and community college, so motivated students can get a head start on their college educations. The goal of all of these proposals is simple: at high school graduation, every student who receives a diploma must be college- or career-ready. And there you have it. At least we have a simple goal. The headline reads "Did You Have Good Teacher? Expect to earn More as an Adult." This conclusion was drawn from a research study conducted by three Harvard and Columbia economists that definitively connect career earnings to a student's access to a good teacher in grades 4-8. So they have essentially proven something common sense says is true. Teachers matter. Of course they do. There are good ones, and then there are some not so good. Just as there are good ways to use research and some not so good. The basic problem I have with this research is they define a good teacher by using student test scores alone. If the same was done in my or any other school I am 100% certain that data would be misleading. We don't all teach the same level and thus not all the same kids with the same learning needs. They might not have the same goal in mind. By such logic it could be argued that to some degree, the students we teach define us as teachers. So what remains unclear despite this study is how to best measure quality. Such an approach using testing to identify "good" teachers assumes cause and effect. It is then parlayed into the dreaded Value Added Measurement of teacher effectiveness. Nevermind all the other factors affecting kids during their incredibly complex development and education. Consider if it is possible that students who already do better on tests are more likely to find success in school, get into a better college and eventually get a higher paying job. Does evidence suggest students from higher socioeconomic levels do better on tests, thus better in school, thus generally earn more money than their peers? Do the student goals differ? College admission is a goal. But who do we hold accountable when goals are not met? The TU asks why it is that economists have all this time to study education? Might they be better served to study something closer matching their background...say, our struggling economy? Maybe some educators should spend some time studying our economy and drawing some equally obvious conclusions and then suggest some changes. Maybe they could even prove economists matter...? The problem is not necessarily with the research itself, it is how it will probably be used. I can foresee this evidence used as rationale or justification for an increased emphasis on the validity of Value-Added Teacher Evaluations. 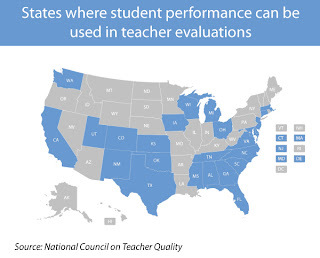 And those teacher evaluations will rely disproportionately on student data from testing. Decision makers and politicians beholden to the appearance of taking action and doing something in our perceived education crisis will likely fail to make reasonable changes from such research and instead use it to justify a call for kneejerk and potentially harmful changes. They do not mean harm they just lack sufficient understanding of all that is involved in education. Numerous videos are included along with the New York Times article and they do much to reinforce the notion that our schools are failing. I am increasingly frustrated by media and their lack of objectivity on education. Instead of presenting a balanced view of reality, they(and NBC) fall prey to the gloom and doom model to attract attention and readers. This undermines public confidence in our schools and has become a self fulfilling prophecy. The video at one point references the low grades the public assigned when asked to grade our public schools to illustrate this point. If using such data driven decisions were a sound approach then we should follow suit with other public institutions. Shall we start with our political ones and remake them all in a flurry of reform? I suspect that course would meet greater and more organized resistance and be deemed unwise. The video continues on and mentions that among teachers “there's growing frustration that those skills can't be measured by a test. standardized tests are an accurate reflection of a student's achievement. 60% say those tests determine what they teach.” Subjective(using real people) as a component in measuring things isn't flawed enough to justify swinging the pendulum too far the other way. Teachers know that. If they didn't they'd make course recommendations solely based on how kids score on a test or only assign grades based on tests. The increasing role of data in teacher hiring, retention and evaluation does something that few other human endeavors do. Rely on data more than people. The problems with VAM(Value Added Models) in such a process is described as either smart or dumb by Bruce Baker (a guy way smarter than anyone at TU)who said there were 3 main flaws with this approach. You don't even need to understand what he's saying to figure out he seems to suggest flaws with VAM. The first error is a deterministic view of a complex and uncertain process. Here are some things to consider which help put this study in proper perspective. The difference cited in a lifetime amounts to $4,600. Over 20 years that's about $225 a year, $19 a month, $4.75 a week, or less than a dollar a day. What if a student had a great teacher but chose a more service oriented profession with less potential for earnings...hmmm? Let's take for example...maybe a job like...TEACHING! Economists would be the ones to qualify worth solely by income. Hearts of stone those folks. Kids with good teachers have a .5% greater chance of going to college. So if a bad teacher taught 200 kids and an good teacher taught 200 kids, the good teacher would send 1 more on to college. A classroom with $266,000 increase in career earnings. If I taught a class of 30 kids who worked for 30 years that'd be about $295 difference for each of them. Robert H. Meyer of the Value-Added Research Center is quoted as saying “That test scores help you get more education, and that more education has an earnings effect — that makes sense to a lot of people.” The problem with that is clear to an educator. A system that relies too heavily on testing in determining the fate of our kids. Most of the nations(Finland for example) that outperform the United States on international tests do not share this test heavy approach. The link between teacher performance and student test scores while statistically proven, is not ironclad. Using this data in such a way has the potential to undermine the collegial and supportive professional environment among teachers and disrupt and discourage peer support. The effect would hurt all students and counteract any gains, real or perceived. In short it won't matter who you hire, it will undermine our profession. “The message is to fire people sooner rather than later,” Professor Friedman said. WTF? So a new teacher with less experience who needs time to develop as a professional and master their craft should be fired? What about the teacher who is asked to teach a different curriculum each year? One who is stricken with illness for a lengthy period of time health problems? That seems like sound reasoning... huh? The way to strengthen education is to fire people. Did you hear that message? In other words...blame the teachers. Is it possible as suggested by someone who questions the validity of such research that value added is simply the only financially practical way to tell the difference between teachers? "Observations or videotapes of classroom practice, teacher interviews, and artifacts such as lesson plans, assignments, and samples of student work" are all financially prohibitive as they'd take too much time and money to effectively implement. To me it is simple...you know a good teacher when you walk in their room...and yes that is a subjective measure. But so is measuring learning. Standardized tests are more objective but we'd be foolish to place any more weight on them than we do already. There is another group who has growing influence on education policy I am wary of, Pyschometricians. They contend that a test is only valid if it actually measures what they are supposed to. I haven’t seen a test, nor would I want to, that can measure how good a teacher someone is. Whether it is John Keynes or Adam Smith, economics is a "dismal science" that essentially amounts to theory. Kinda like education theory. I read some of the comments on the article and they seemed more soundly based on the real world. Are similar data heavy measures applied to similar things? Like: Our curriculum, online classes, charter schools, would they be welcome in private schools since education is education ...public or private? Or could the same conclusion be drawn from how far back a kid sits in a classroom, how fast they finish a test, or whether or not they're a student-athlete? "But controlling for numerous factors, including students’ backgrounds, the researchers found that the value-added scores consistently identified some teachers as better than others, even if individual teachers’ value-added scores varied from year to year." Anyone bother asking why it varied? The study simply confirms what we already knew. The question before us is how or if that is useful. Let me be the 10,000th person to tell you that over-representing the value(pun intended) of Value Added is unwise. We have begun to employ this approach across the nation in a sweeping tide that shows little sign of turning back. We've seen the damage such a tide can do when it advances too far unchecked. What is even more frustrating is we seem to be spending more time, money and resources to develop, justify and advance these methods all for what at can at best be described as a minimal return. Thus pushing the tide even farther and doing untold damage. So the study found out that teachers matter. Teachers matter a lot and all this data shouldn't. Perhaps a study showing parents matter would be equally useful. Allow me to briefly respond to the research after what has grown into a lengthy post. "Well ...Duh!" I'll restate what I find the most fault with about all of this, it is that data driven reform attempts to replace what throughout history has been the skilled art of teaching with some sort of exact science. In our effort to continually educate and develop the human mind we are forgetting we still dealing with people and we cannot do the job alone. Funny thing about people and their behavior is that more often than not they find ways to defy scientific explanation. Value-added is an oxymoron if ever there was one. Whether it is a moral truism or not, it certainly plays out as a practical truth. Who are you, the recipient, to judge what I, the giver, have so generously given to you. This is why we scrutinize the items of the customer in front of us when we see them pay with food stamps. If they're using my dime to feed their family then they have no business buying some of the "luxury" items in that cart. Many institutions from fire departments to universities rely on funding from donors to supplement the public funds on which they operate. We tend to support these organizations because we a)see the value in the service they provide or b)benefit from their services (past, present, or future). Other charities don't usually get the benefit of our intentional and direct investment, we're happy giving them our leftovers. Whether it's end of year unloading, spring cleaning, or emptying our change on the way out of the store for the Salvation Army ringer, many times our contributions to charities that serve the poor are out of guilt or convenience. Our current narrative casts public education into the second group for many Americans. The current story says that public education is an institution not just failing to meet an overwhelming need, but indirectly responsible for social ills for which the public should take responsibility. Groups with virtuous goals such as "Teach for America" sell a PR package that our consumer society gladly buys. Lack of education leads to poverty and a poor system of education has led to economic crisis. The current story of public education tells that millions of children are being failed by a poorly functioning system hindered by low expectations, stifling unions, and incompetent teachers. Millions of children are "academically starving" and the public institutions created to feed them are failing to do their job. The system of accountability created in Virginia with Standards of Learning testing in the 1990's and with NCLB at the federal level have lended credibility to this story. Accountability has created the context for a national dialogue which highlights failures and dismisses success. In our current popular story, we are in crisis. Crises can bring out the best... and the worst. A crisis presents an opportunity to try things a little differently, perhaps even a little dangerous or reckless that we wouldn't normally accept. After a natural disaster, building codes which were meant to protect citizens could become obstacles for immediate shelter. Terminal patients, having little to lose may often opt for the unproven treatment. We also find opportunists in the midst of crises, standing to gain from the desperation of another. This popular narrative of crisis would have us believe that the children of America are being failed academically by its system of public education. Instead of addressing the impact of poverty and social context, the government and "no-excuse" reformers lay the blame on schools. This story places the academic plight of American children in the same realm as poverty, hunger, homelessness-- issues of charity rather than public responsibility. Education is not charity, it is a public responsibility. Assume the responsibility for improving education and take on the role of Educator-in-Chief. We know what conditions are needed for good teaching. It's time to put our effort, our money, and our mouths where our hearts are: demand what has already been proven best for the children of the next generation by demanding the training, induction, and working conditions that allows good teaching to flourish. Do it on OUR terms, from the position of Effective Teaching, not a corporate manual. The plan has already been outlined in the Commission report Transforming Teaching. Her post prompted me to think about why I've never joined the NEA or it's local chapter. First, I've never been shown how the NEA can benefit me. Second, I've never been shown how the NEA can benefit students. In my years of teaching, I've come to view the NEA as well-intentioned but largely inconsequential. Can anyone tell me why I should belong to the NEA? That's an honest question. I don't have a negative opinion toward it, I just haven't seen the fruits of their labor.